Bickner canoe on Oswego L.  Lillian Bickner. [stamp]: Historical Photographs, printed by Alex Blendl. Description Cropped version of photo 52a; mounted on mat board. 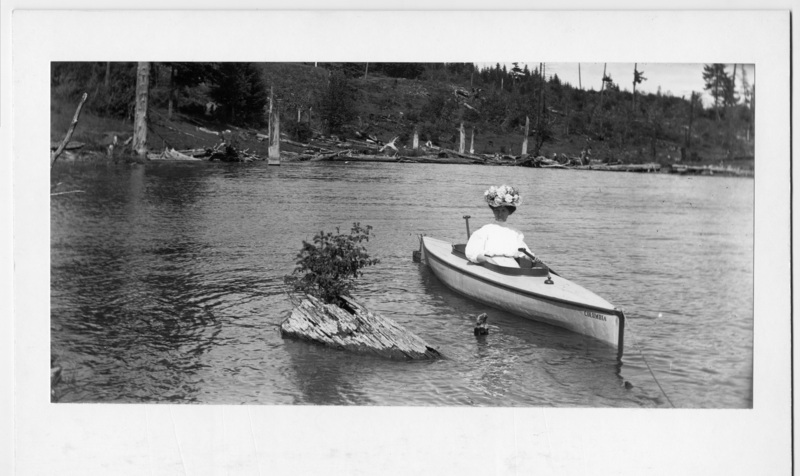 Transcription Bickner canoe on Oswego L. Lillian Bickner. [stamp]: Historical Photographs, printed by Alex Blendl. Physical Description H 7" x L 11"